One of the most common questions asked of psychic mediums is if everyone has the ability to communicate with spirits the way they do. I have heard a lot of psychic mediums answer yes to this question, but I think it is out of a need to avoid sounding egotistic. That is a loaded question if you think about it. If they answer that we don’t all have the ability, then they appear egotistical. If they answer that we do all have the ability, then they are answering the question without really thinking it through. Mediumship is a gift, much like art or music. I could learn to play the piano fairly well with years of practice, but I’m never going to be a concert pianist. That’s the difference between “learning” how to be a psychic medium and naturally having the gift. The psychic mediums I write about in this book are naturals. Some have studied to improve their gift, but most have known of their unique abilities since childhood. 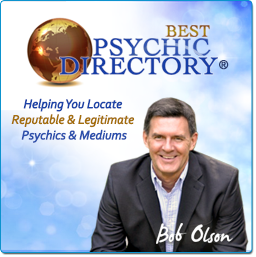 Before many of them ever read a book about psychic or psychic mediumship ability, they were giving readings to friends and coworkers the way some people show others their latest card trick. With that said, I have been to workshops that teach psychic and mediumship ability where a few students have discovered an impressive, and unexpected, ability to connect with spirit. While some gifted individuals know they have unusual psychic abilities, they often don’t realize just how gifted they are, or how to use it. It is not uncommon that someone will attend one of these workshops and discover a hidden talent of which they were not fully aware. But we must keep in mind that these people were not totally unaware of their gift; they were drawn to the workshop for a reason. I once attended a psychic and psychic mediumship workshop offered by a psychic medium named Gordon from Scotland. I didn’t go intending to discover any profound ability in myself—in fact, I really stunk at it—but I was curious to see how other beginners would rate. I was quite surprised by what took place. The workshop was presented at the First Spiritualist Church of Quincy, Massachusetts, on a Wednesday evening. Rita, the psychic medium and spirit artist, is the pastor there. About forty people attended. Gordon took us through several workshop experiments to test our abilities. The first was an exercise where we attempted to learn something about a stranger (our workshop partner) by picking up information through their aura. I was astounded at how well some people did. One attendee picked up on his partner’s childhood trauma, another on her partner’s honeymoon memories, and a third on her partner’s work related problems. My mind went completely blank. The best I could hope for was that my partner had no past, but that wasn’t the case. The second exercise involved psychometry. Attendees would hold something personal that belonged to a perfect stranger—like a watch, piece of jewelry or a scarf—and they would see what information they could pick up from that object. Dawn, the girl who held my watch, said it was a gift I had given to myself in celebration of something, but that it no longer held the importance it once had when I first bought it. Not bad, I thought. The watch was a gift that Melissa and I had purchased in celebration of overcoming a five-year depression. The watch had lost its significance to me because, at the time, it had been over seven years since I overcame that horrible depression and I was allowing myself to move on from it after having made peace with that growth experience in my life. Finally, Gordon tried our hands at mediumship. I happened to get paired up with a guy named Craig for this exercise. I didn’t know Craig personally, but I knew he was a healer at the church. When Melissa, her sister, Deb, and I visited this church on Easter to see a guest psychic medium from England, Craig was the healer who surprised Melissa by causing her eyelids to flutter uncontrollably for about ten minutes. Craig wasn’t a psychic medium, but had been offering his healing gift to the church for years. The night of Gordon’s workshop, Craig told me that he came to the workshop to see if he might have mediumship abilities, as well. Craig was the first to give mediumship an effort; I would go second. When Gordon gave the signal to start, Craig sat with his hands palms-up on his knees. 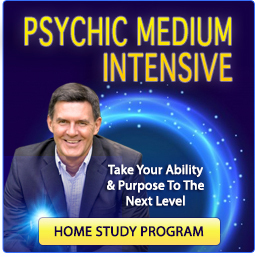 This isn’t how most psychic mediums work—most psychic mediums just start talking—but Craig was obviously using his healing meditation methods to connect with spirit. I think it was the best way he knew to clear his conscious thoughts. Next, Craig’s eyelids began fluttering the way Melissa had described of her own eyelids on Easter. Then his fingers started twitching as if he was getting shock treatments. He sat like this for a few minutes while I waited and watched. To our side was my friend John, an experienced psychic medium who was rattling off messages from spirit to one of the workshop attendees. The woman was the odd-man-out when everybody paired up, so John sat across from her so she wouldn’t have to miss the exercise. John sponsored Gordon to come to the United States from Scotland, so John was at the workshop as the sponsor, not a workshop attendee or teacher. I thought to myself how intimidating it must be for Craig to be sitting there in complete silence while this famed psychic medium was relaying messages like an auctioneer. It didn’t seem to affect Craig. In fact, he was so silent and still—except for his eyelids and fingers—that I wondered if we lost him in the cosmos somewhere. Slowly and peacefully, Craig opened his eyes. His fingers stopped twitching. He told me he had linked with a man in spirit. I thought to myself, jokingly, “Sure you did Craig; and I’m Superman.” I figured he was getting caught up in the moment. Then he gave me some unexpected messages. When he opened his eyes again, Craig said, “ He’s telling me he had a problem with alcoholism. He’s very sad for what that did to you.” Right there I knew it was my father. This is a message my father sends me every time a psychic medium gives me a reading, beginning with my first reading by Vicki. I keep telling my father that I forgive him for the alcoholism, but this is either an issue my father continues to struggle with or a signal for me to identify him as the spirit coming through. “He’s very emotional,” said Craig, visibly feeling choked up by my father’s emotion. “I think he died about four or five years ago,” he added. That was correct. 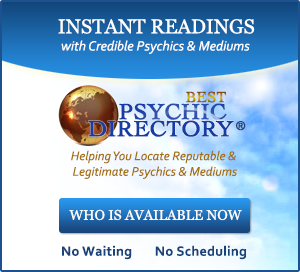 I was now really impressed that this newcomer to mediumship was so accurate on his first attempt. “He is still sitting beside you. I don’t know why, but he is down low to your side.” Craig quickly went back into trance as if to ask my father why he was showing himself so low to my side. It did make sense. My father suffered with severe depressions that led him to self-medicate with alcohol. We changed roles because of my father’s alcoholism. Sometimes I had to be the adult even though I was a teenager because my father had reduced himself to a vulnerable child drowning in a sea of despair and confusion. As I sat with Craig, I recalled a recurring scene in my family’s dining room as my father soaked his white t-shirt in tears. He would plead with me to help him, to forgive him, to understand that he loved me even when his words or actions hadn’t indicated love. I would hold him for what seemed like hours while he sobbed, me balling along with him. He was lost. I was bewildered. And while Mom was working to pay the bills, I played adult trying to release the pressure of my father’s burdens and fears, comforting him during the darkest stage of his illness—the cry for help. I held an arm around Dad as he dialed one alcohol rehabilitation hospital after another, begging them to admit him one more time. With each refusal, my father’s hope and presence diminished. When someone finally offered to admit him, we both sighed in exhaustion and relief, then rushed him to the hospital to detoxify. I told Craig that the messages he gave made a lot of sense. I explained that my father had often come through to other psychic mediums with that same message, and that I wished he could get over his guilt and move on. I said that my entire family had forgiven my father a long time ago, and it was sad and unfortunate that he keep torturing himself. Craig said he would give my father that message. He quickly went back into trance. I closed my eyes and attempted to clear my thoughts. I could hear everyone around me giving messages to their workshop partners. I felt like a log on a stage. My mind was blank as Craig waited patiently for a message from beyond. I wondered how long I should sit there teasing him with anticipation. I felt bad for Craig that he got me as a partner. All I could think about was how well he did linking with my father. I thanked my father for coming through so clearly. I contemplated the effect this night might have on Craig, knowing that he would likely become a powerful psychic medium one day. After about a minute, I opened my eyes and said, “I’m way too excited about what you just did to be able to do this myself. Have you ever tried mediumship before?” I don’t think Craig cared that I sucked at mediumship. I think he was pretty excited about his performance, too. 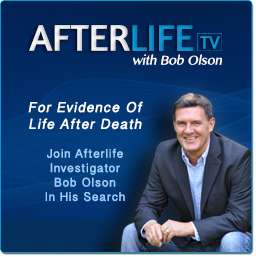 He told me that this was his first time, although he had been learning about mediumship for over a year. I guess he just never tried it before. For the next ten minutes I interviewed Craig like a reporter. I told him how I had been studying psychic mediums for a couple years and that his performance was quite impressive. Then I encouraged him to continue improving his gift with practice. Melissa’s partner didn’t do too shabby either. She told Melissa that she had a sixth sense for predicting bad omens in her life. She had an inner knowing (premonition) that she was going to get into a car accident and, a short time later, it happened. She had an inner knowing that a certain man was going to attack her and it happened. Later, she had the same feeling about another man and he, too, attacked her. Finally, she had an inner knowing that her stepmother was dying and that turned out to come true as well. The woman explained that the car accident and personal attacks happened because she didn’t trust her inner knowing and walked right into these dangerous situations despite her premonitions. Now she wanted to learn to trust her gift and discover how to use it for more positive things, not just the bad stuff. 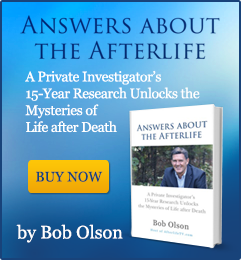 People who have had near-death experiences claim to have been in several places at once while they were officially dead for a few minutes. One woman, as portrayed in Dr. Raymond Moody’s video Life After Life, said she was in her hospital room overlooking the doctors trying to revive her, in the hospital’s hallway listening to her brother-in-law talking, and at her sister’s home across the country watching her sister look for her car keys—all at the same time. After the woman was revived and feeling better, she was able to verify everything she had heard while officially dead: exactly what the doctors were saying at the time she had flat-lined, the exact words her brother-in-law had spoken in the hallway, and the exact events her sister had experienced while looking for her car keys that day. Melissa’s partner told her she was getting an older man who was old enough to be Melissa’s father, but she knew from an earlier exercise that Melissa’s father was still alive. This confused the woman because she said the man was too young to be Melissa’s grandfather but she was getting a fatherly energy from him. Since I’d been with Melissa since we were kids, my father loved her as his daughter. A few psychic mediums have told me during my own readings that my father always shows Melissa as one of his children; and to my humorous delight, this always confuses the psychic mediums. Melissa’s partner described my father as having gray hair and a button-down plaid shirt with a collar. She added that my father was showing himself with his arm around Melissa and a smile on his face. She said he made her feel happy and was joking with her. This was contrary to the introduction Craig was getting from my father at that same moment, but it was a side to my father that most other psychic mediums have experienced. My father is ecstatic in the spirit world and enjoying himself immensely. He always jokes around during my readings saying that he was too serious in his earthly life and is now making up for those gloomy years. Although he would become emotional when talking about his years of alcoholism or my five-year depression, the rest of his messages always had a comedic twist that kept the psychic mediums smiling and laughing. You can probably imagine our surprise when Melissa and I swapped stories on the ride home from the workshop that night. I found the fact that my father came through to both beginner psychic mediums in two completely different moods a rather curious occurrence. We can only speculate on the reason he did this; I really don’t know why. Even more significant was the fact that both of our partners linked with spirit. For a beginner’s workshop, that was unlikely. My conclusion? Never underestimate anyone’s ability to communicate with spirit. Even if Melissa’s partner and Craig never improve their abilities enough to become psychic mediums by profession, they are still several steps above painting by number or playing Chopsticks. I’ve heard many people say that their art or music talent isn’t good enough to make a living from it, but the exercise in itself has personal benefits that are priceless. I’m sure Craig and that woman left the workshop that night feeling they would have paid thousands of dollars for that experience. If you have never had your own experience linking with spirit, perhaps you don’t have a natural gift of mediumship. But then again… maybe you do.